Under supervision of a licensed professional, the Clinical Assistant performs a variety of support duties that do not require licensing or certification, as well as the full range of administrative and clerical duties in support of student health center operations. 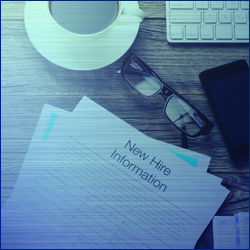 Responsibilities include appointment scheduling, patient reception, maintaining and updating patient records, filing, retrieving and auditing records, receiving cash receipts and entering account transactions, and transmitting information or documents to patients, practitioners and/or other authorized organizations. The Clinical Assistant supports and utilizes Health Information Management (HIM) systems to process, maintain, compile and report protected health information. Work often involves front line contacts with a variety of campus and community individuals requiring active problem solving and effective interpersonal skills. The Clinical Assistant easily adapts to change in a high volume work environment. The above qualifications would typically be obtained through completion of a high school program or its equivalent and familiarity with a health care setting or combination of education and experience which provides the required knowledge and abilities. A background check (including a criminal records check) must be completed satisfactorily before any candidate can be offered a position with the CSU. Failure to satisfactorily complete the background check may affect the application status of applicants or continued employment of current CSU employees who apply for the position. This considered a sensitive position. Current CSU, Chico employees are subject to a background check (including a criminal record check) if voluntarily moving into a sensitive position, regardless of any background checks previously conducted. Incumbent is responsible for the safety and security of Level 1 data, sometimes also referred to as Level 1 protected data. This is confidential information that is in most cases protected by statutes, regulations, or other legal mandates. Incumbent/applicant will need to be able to perform the essential job functions (duties) of this position with or without reasonable accommodation. This position alternates between remaining in a stationary position operating a personal computer for long periods of time and frequently moving about inside the office to operate standard office equipment, such as copier, scanner, fax, phone, etc. Light lifting, pushing/pulling may be required to transport or use medical records, equipment, and/or supplies. Must be able to travel across campus on even and uneven surfaces for meetings and events and may attend off-site meetings/trainings. This position works primarily in the busy front-office of the Student Health Center, which is a healthcare clinic. The duties of this position require direct, personal contact with a diverse population of patients, patient family members, and practitioners. This position experiences frequent interruptions, while performing multiple tasks, with fluctuating levels of urgency. When experiencing pain or illness, patients may communicate in a negative or confrontational manner. There may be exposure to infection, communicable diseases and contaminated material. Infectious material hazards involve regular exposure to disease-bearing specimens, body fluids, wastes, and blood-borne pathogens. It should be noted that service dogs may be present.